It’s been a long time since we’ve heard some new music from Metallica, hasn’t it? 8 years to be exact! Well, good news is that we finally have a new album from the biggest metal band in the world. Hardwired… to Self-Destruct was released on November 18th, 2016 by Blackened Recordings, the band’s own label. Since it’s been a long time and everyone was curious how the group was going to follow Death Magnetic (2008), the expectations were high. It is Metallica after all… Did these experienced heavy metal legions deliver? Before we get to that, let’s delve into the question that everyone is asking the band: “What took you so long?”. It’s true, 8 years is quite a long time for a new studio album. The thing is, it clearly wasn’t because they couldn’t create new Metallica music, they just wanted to be creative in other areas. If you are Metallica and you have all the money in the world, and you’ve played everywhere around the globe (including Antarctica! ), wouldn’t you want to challenge yourself and try a few different things? I’m not saying I liked everything they did between 2008 and 2016, but I gotta admit… I get it. the group don’t like to leave their houses for more than 2 weeks at a time to keep their work-life balance in check. But it wasn’t just this that kept them from developing new Metallica music. They decided to venture out a little bit and worked on some different projects along the way. These included the Orion festivals, the collaboration with Lou Reed for the ill-fated Lulu album, and a self-funded film called Through the Never (2013) that tells the story of a roadie sent to a mission during the band’s show. We can argue all day about what we thought of these ventures from the band, but it is quite apparent that between their family obligations and other creative endeavors, Metallica was never idle. We got our first tease of the album when we got Lords of Summer, a brand new single the band released in 2014 to show us the direction they were headed in. (Lords of Summer was re-recorded and released on Hardwired… but it’s only on the Deluxe Edition). The reaction at the time was mixed; but I think Lords is one of their best songs that came in the last two decades. Catchy riffs, great vocals, and good lead work. My one complaint was that it originally felt a bit too long; but the re-recorded version is about one minute shorter which I think was a great idea. I’ll never know why they didn’t include this in the standard editions of the record, it’s seriously one of their strongest songs and fits so much better than some of the other tracks… but we’ll get there shortly. The album is also unique in the sense that it’s the first album since Kill ‘Em All that doesn’t feature a songwriting credit from lead guitarist Kirk Hammett. The guitarist has said that he lost his iPhone that contained about 250 riff ideas. This happened shortly before the recording process began, putting him at a disadvantage. Hetfield and Ulrich have always been the primary songwriters in Metallica, but I’ve always enjoyed Kirk’s contributions too. People forget; but Kirk is the composer of a lot of memorable riffs in the band’s career (Enter Sandman, anyone?) so I feel bad for him that he could not recover his phone. Not sure why the band didn’t give him some additional time to come up with a few riffs but perhaps by that time they already had all the material they needed for the album. This is also the first studio album that Greg Fidelman produced for Metallica. He previously mixed and engineered Death Magnetic, which was produced by Rick Rubin. This time he, along with Hetfield and Ulrich, assumed production duties. I’m not sure what the reason was behind Rubin not producing it; but I’m guessing it had something to do with the fact that Rick Rubin doesn’t seem to have a lot of time to dedicate to bands (Slayer’s Kerry King had a thing or two to say about that!). Based on all the interviews I’ve read on the topic, it seems to me like Metallica would have liked to continue working with Rubin, but they needed somebody to pay them closer attention. In any case, I think Fidelman did a good job on this record, both in terms of producing and mixing. I especially love the guitar tone all throughout the album. 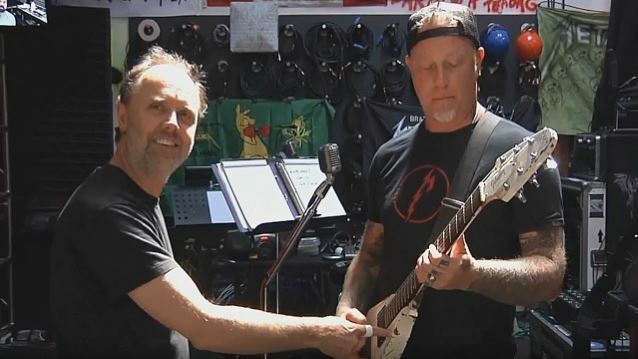 Hetfield’s rhythm tracks sound crystal clear! The guitar tone is critical to any metal album’s strength – and I just love how you can hear all the strings the guitar duo strums. This album’s also a lot less affected by the so-called “loudness wars” compared to Death Magnetic so you can crank it up and blast some new Metallica music through whatever speaker you’re using! The album starts with my favorite song on the standard edition, the title track Hardwired. This is the last song they wrote for the album but I think it’s one of the best ones! It’s relatively short clocking in at 3:12 but that makes it that much stronger, in my opinion. It’s one of those Metallica songs that starts fast and just never loses any momentum throughout the song. It talks about how we as mankind are hardwired to destroy ourselves; that it’s in our nature to want to destroy ourselves… It’s a really strong statement accompanied by some aggressive music that we all love to hear from “the four horsemen”. Then, in the first half of the album we’ve got songs like “Atlas, Rise!” and “Moth into Flame” that both prove that the band has a ton of fuel left in the tank. I love both songs mainly because they combine some great melody with aggressive rhythms. They’re also excellent tracks that go through some tempo changes while showcasing some great leadwork from Hammett. 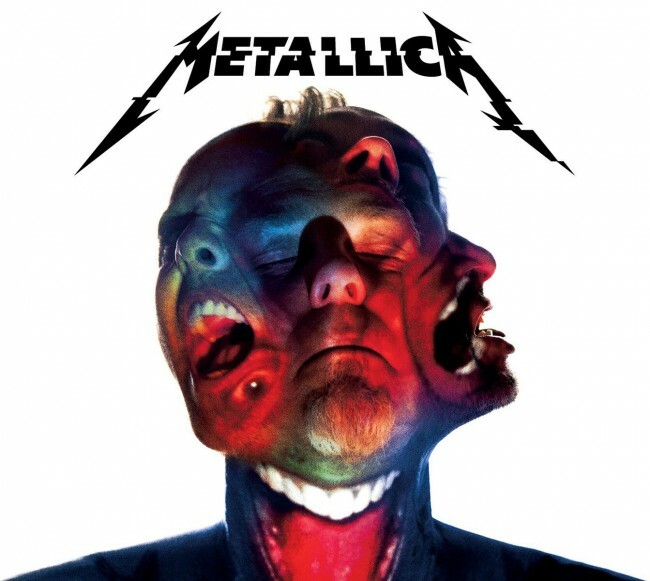 All in all, just tremendous examples of how Metallica can infuse melody and aggression. “Moth into Flame” also has a great lyrical theme as it talks about how the desire to become famous can lead to destruction. In our social media obsessed world where people are looking for a “faster” way to become famous, this song is a good reminder of what that can do to you! Overall, I think the first half of the record has some of the best work the band has done in the last 20 years; but the second half has quite a bit of filler. We’re left with some mid-tempo songs that just don’t really go anywhere. With certain songs that drag on for too long without much changing, the challenge you face is keeping your audience interested. If you’re not willing to streamline some of your songs, you’re gonna have a hard time as listeners will expect some shifts. I don’t think Metallica generated that engagement in songs like “ManUnkind”, “Murder One”, or “Am I Savage”. Actually, my feeling for nearly half the record was that there weren’t exciting changes in the songs, and what you were left with wasn’t really super interesting to begin with. 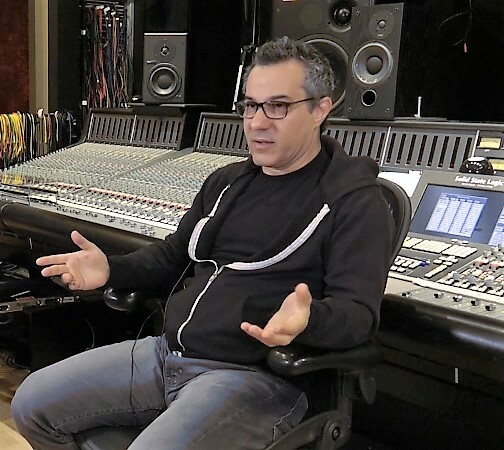 That is not to say that I don’t like long songs – I certainly do – but like I said, with a longer song it’s harder to keep the listener engaged. I think Metallica would have been better off applying the same editing they did to Lords of Summer to most of the songs on the record. Although the second half of the album is a little disappointing, there is one song right at the end that kind of reminds you why you liked the album in the first place. It’s called “Spit Out the Bone” and it’s definitely a throwback to the band’s thrash metal infused days of the ‘80s. Just when you get a little bit lost with some of the not-so-memorable tracks, “Spit Out the Bone” closes the album in a way that you won’t really forget. There’s some solid rhythm playing by Hetfield, his vocals also truly shine here, and there’s some great leadwork from Hammett. Metallica likes to close their albums with a fast-paced aggressive song and they kept the tradition alive here as well! All in all, I think this is a solid effort from the band and there’s some great moments; but I keep feeling like the filler songs in there dilute the effect of the spectacular ones. It’s a shame because those spectacular ones really deserve all the praise they get. In a year where Metallica’s Big 4 compatriots Anthrax and Megadeth released almost perfect albums, I was hoping the same from Metallica. But I can’t complain. I’m glad we have a new record from arguably the biggest metal band and they’ve delivered some solid tracks here. I still love Metallica, and I still have faith in these relentless heavy metal warriors. Let’s hope the next album doesn’t take 8 years!